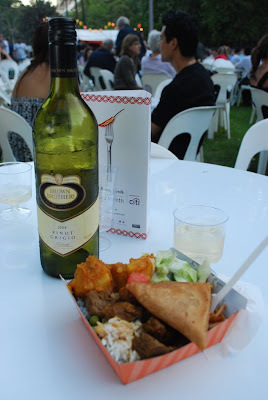 October 2008 really was Good Food Month in Sydney. This year I experienced the Noodle Night Markets multiple times on the way home, two Let's Do Lunch events and one amazing dinner. The Night Noodle Markets are always my favourite part of Sydney's Good Food Month. The atmosphere reminds of markets in Darwin where we ate asian food and sat under the stars with hundreds of other people. Thing is, I think more people visit the Noodle Markets in the two weeks they were on this year than live in Darwin. I still rate the Darwin market food better - certainly the sticky rice and mango. No matter what kind of food you like, you will find it here as long as it has noodles in it :) There are also dutch pancakes, yum cha, wine, beer and good desserts. Don't plan to visit on one night but make a habit of it over the time they run. G and I walk home through them every night so we stopped there three times. It was a lovely scene. 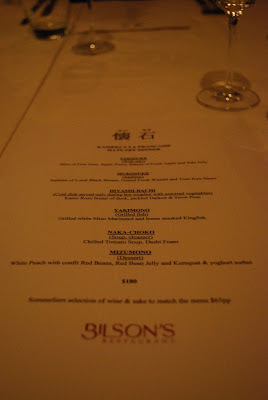 Lastly, I can't forget the fabulous night we had at Bilson's. Bilson is best known as the guy who taught Tetsuya what he knows and this dinner was certainly a homage to European style Japanese food. Going to Bilson's is always perfect with it's large tables, amazing food and disappointment at the fact that I won't be eating just like this for a while again. In Good Food Month, it's even worse since you know that they will never be putting on this spread ever again. At least I got to be one of the few to experience it. The wine was very very good with the food but my night was topped off by the discovery (yes, I'm slow) of freshly grated horseradish. There is pretty much nothing nicer of a piece of beef than that. 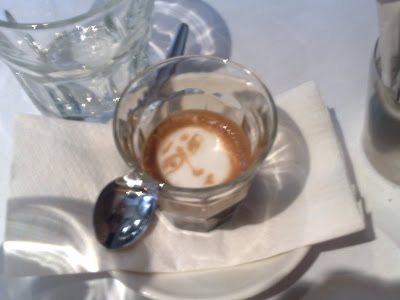 If you choose one thing to go to next Good Food Month in Sydney, choose Bilson's.